The Metro Region EMS program is dedicated to the coordination and improvement of emergency medical services within the ten metro counties of Anoka, Carver, Chisago, Dakota, Hennepin, Isanti, Ramsey, Scott, Sherburne and Washington. Metro Region EMS provides a forum where the public, private and non-profit sectors can meet to create long-term visions for EMS in the metro area. 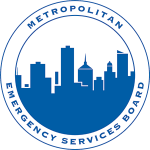 The MESB serves as the administrative, financial and contractual agent for Metro Region EMS for the purpose of accepting and dispersing funds under agreements with state and federal agencies in the metro area. The EMS Technical Operations Committee (TOC) is a committee of the Metro Region EMS System appointed by the MESB, and consists of community health representatives, physicians, communications representatives and ambulance service providers. Metro Region EMS and its committees propose, review, and recommend standards and procedures which coordinate and improve emergency medical services in the metro area, and conceive and adopt plans to ensure a coordinated and effective response to multiple casualty incidents and special events, regardless of hazards and cause. In the last five years, Metro Region EMS has sponsored research which changed the way EMS is delivered nationwide while also impacting patient outcomes. These research projects created new pre-hospital protocols which were rapidly adopted and have improved patient care and outcomes. Visit the Metro Region EMS website.